Every so often, there’s an image that just encapsulates the splendor of space travel. ISS Expedition 34 captured just such an image on December 21. Looking out the station’s window, the crew spotted the approaching Soyuz TMA-07M, bringing their crew complement. 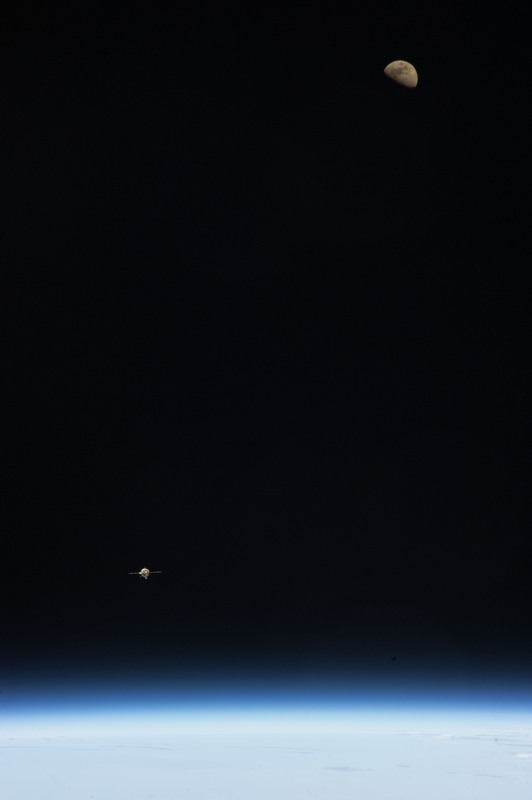 The Soyuz was perfectly framed by a rising gibbous moon and the blue glowing rim of Earth’s atmosphere. Soyuz TMA-07M just before its rendezvous with the International Space station in December 2012 (Credits: NASA).